Why do we think the Hansar is the best boutique hotel in Bangkok? 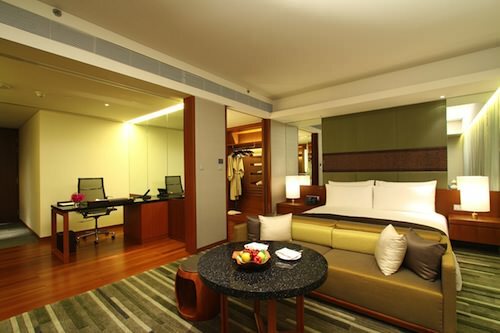 It is a five-star boutique hotel overlooking the Royal Bangkok Sports Club greenery and is only a short walk from Erawan Shrine as well as the Central World and Siam Paragon shopping centers. The BTS Skytrain is only a one minute walk from the hotel. The rooms are large, airy and modern, with complimentary mini bar and free WiFi. You can enjoy panoramic city and park views from the rooms. If you need spa treatments, the beautiful Luxsa Spa offers massages and facials. 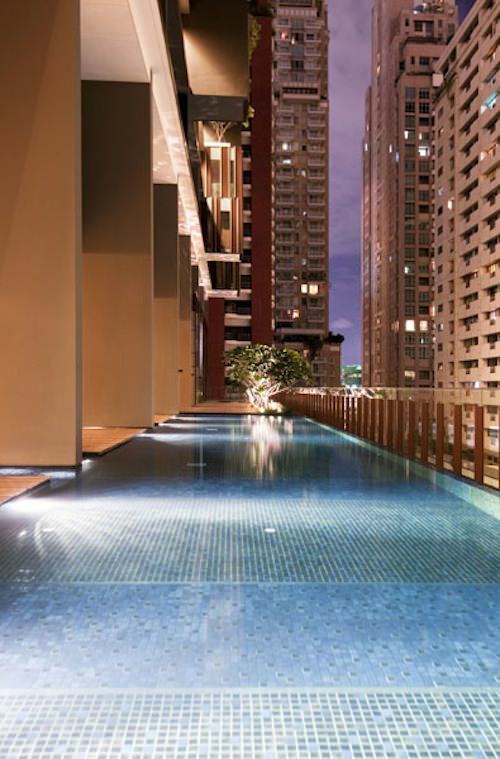 Hansar has a wonderful outdoor lap swimming pool on the sixth floor that was featured in our article “Best Bangkok hotels with swimming pools“. This is perfect for those who want to exercise in Bangkok without suffering from the heat and humidity. The gym is also excellent (with treadmills, weights, yoga mats) and offers city views. Breakfast is outstanding, and the cafe on the premises serves Thai and Westen dishes as well as Italian coffee and pastries. The hotel is adjacent to the Four Seasons and the St. Regis hotel, so if you want to dine out without walking far, you can simply step out of the Hansar. Among the excellent dining options is the Zuma Restaurant at the St. Regis which serves Japanese izakaya-style food in an elegant, contemporary setting. Most importantly, the Hansar is a boutique hotel, so you will not experience large tour groups or rowdy people that are common in large hotels. The lobby is small and intimate, and majority of the building houses the “Residences” which are long-term stay accommodations. You should expect to pay around $200 during the normal season. For those on a tighter budget looking for the best value, we still recommend Tenface hotel which will cost about half ($100) and still offers excellent customer service and large one-bedroom suites. Tenface does not have a large pool and the gym is very basic. The location is not as central as the Hansar, but still close enough to Sukhumvit road and the BTS, and it offers that best value of any boutique hotel in Bangkok.